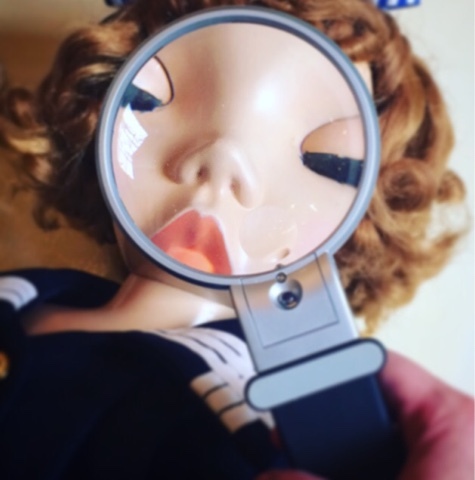 I have fallen sadly behind on my Doll Detective posts, and I apologize. 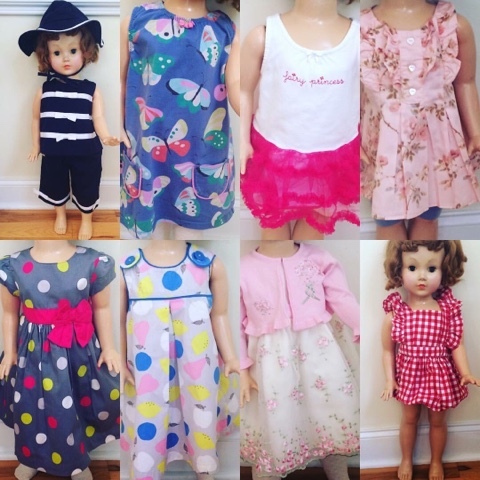 I found a bunch of dolls for you and then my aunt died and I was out of state for several days and while I was away the listings ended. When I returned I found quite a lot of junk-food eating and not much housecleaning went on while I was away, so I had some chores. I also have been hard at work both in my stores and on myself this week. I rode with my parents to Ohio and found that my step-father has gone from a man who used to throw us in the back of the van with a box of Ritz crackers and drive all night without stopping to one who stops every couple hours and eats only at sit-down restaurants. I can honestly say, I had forgotten the Ohioan obsession with Bob Evans restaurants. This trip, I even got to see the original homestead in Rio Grande, Ohio! My husband calls Bob Evans "The Yankee Cracker Barrel" and I can tell you my figure is showing their stick-to-your-ribs homestyle food. It's disappointing because I had been doing pretty well in my health and fitness group and now I am having to re-lose several pounds I gained while riding around in the car all day eating at Bob Evans. I'm about halfway back to where I was when I left, and I hope the new plan I'm trying doesn't kill me. I am trying to reset my Circadian rhythms. I am a natural night owl. I am more productive after noon, I prefer to exercise at night, I don't get hungry until night, and I don't fall asleep easily until midnight or later. This wouldn't be a problem if I didn't have to get children on the bus before 7AM and be awake to feed and watch them during the day, but it really doesn't work well with my lifestyle. So, I'm trying this diet where you eat carbs at night and try protein and activity first thing, plus you alternate higher-carb days with low carb or keto days and fast days. I am on the keto day today and haven't had had any carbs to speak of and I can barely keep my eyes open. Here's hoping it doesn't backfire and leave me wide awake tonight after supper when I get to eat some carbohydrates! Anyway, I hope you will excuse what might be a rather foggy post. My first pick for the week is an amazing Baps Snow White and the Seven Dwarfs set. Baps dolls are quite rare, but their deepest appeal, I think, is their sheer adorableness factor. These miniature German felt dolls have myriad details and an old-world look. I have never seen this set before and it looks like it's in really good shape. As always, this set, as with most of my picks, is not one I have seen in person. I am just pointing out unusual or desirable dolls I have come across. Next I have Gretl from The Sound of Music by Madame Alexander. This Wendy as Gretl doll is from 1971, although the Alexander company has released several sets inspired by the movie. The older dolls are harder to find. especially this particular one. I have been searching for years for all the original dolls from the first release so I could give my daughter a complete set. I haven't found a set I could afford, and now she's pretty much outgrown dolls. I wish I could have gotten her a set three or four years ago. I was obsessed with The Sound of Music as a girl and would have loved a set of dolls to go with the record I carried around in my portable phonograph case and played repeatedly! Another doll I've never seen before turned up recently: this adorable Sayco character girl. 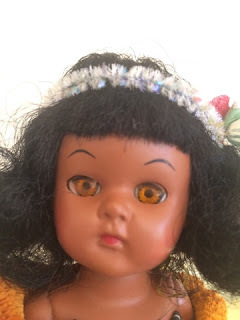 She's a Mary Hoyer/Wendy Ann/Arranbee type fashion doll with a girl body rather than a mature figure and a mohair wig dressed in typical 1940's style. I have a Sayco baby doll I'm in the midst of restoring and I can't find another like it anywhere. Sayco seems to have specialized in less-expensive knock-offs of popular dolls and it appears they released small numbers of each doll. 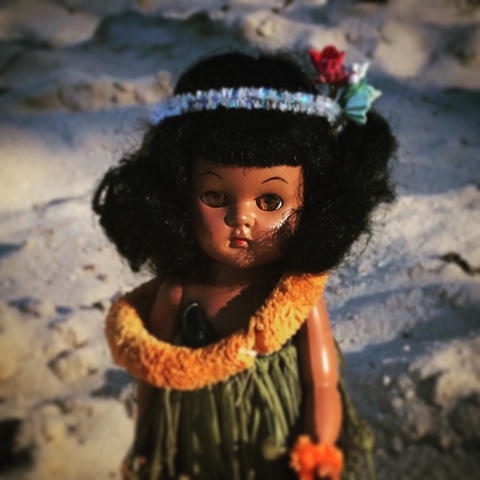 This particular girl is still in her box and appears unused, so not only a rare doll, but in rare condition! 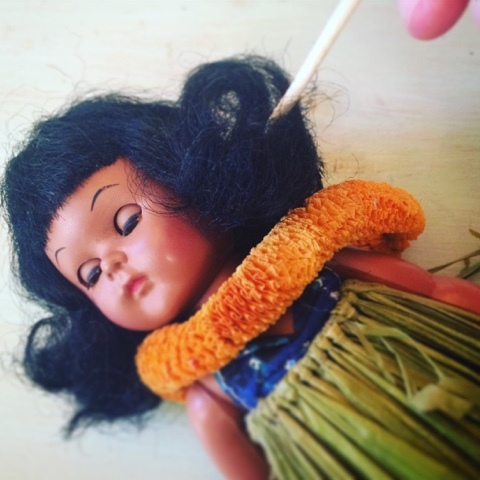 If you're into doll repair I have a handyman special for you: this Madame Alexander composition Little Genius baby doll. 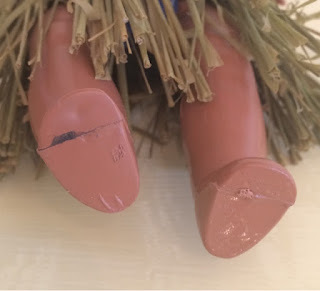 This doll is a terrific price and the 14 inch size is unusual; She needs epoxy repairs to her fingers and toes and some crazing repair, but none of that is terribly hard. If I didn't have one of these in my studio awaiting restoration I would be all over this. I was really happy to see she has her original tagged dress. You see this doll most often without any tagged clothing or identifying marks and they're almost always listed as "Baby Genius?" or "Baby McGuffey?" and stuff like that, but with the tag there's no doubt as to who you have. I've seen this Davy Crockett outfit before, but never the original doll in the outfit like this Muffie. She makes a pretty darling Davy Crockett! Muffie is just the cutest, in my opinion! I love the little coonskin hat. 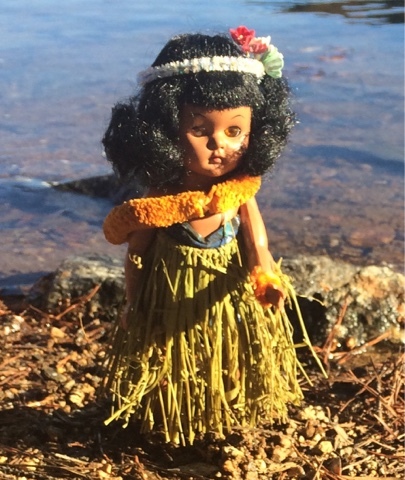 If you are a Dollikin fan, you might want to check out this modern doll: Horsman's Rini. She is a ball-jointed doll (BJD) about the same size as the rare Dollikin "Squirt". Squirt is the nickname given by collectors to the 15 inch multi-jointed Dollikin. That doll is extremely rare. I saw one the other day but caught it just as the auction was ending. Since the Squirt is so hard to find, I suggest looking into Rini. I have one of these who is missing a hand and she's chilling up in my studio while I think about how to replace it! This blast from the past made me laugh today when I saw them: a mint in the boxes Donny and Marie set! I know for sure I had their coloring book, and I can remember wanting these dolls, but I don't think I ever got them. I haven't made a point of searching for these so I'm not sure how rare or valuable they might be, but I haven't seen them since back in the day so I thought I would share! Finally, a couple more Madame Alexander dolls finish up my list. First is Margaret as Mary Martin from South Pacific. I had no idea they even made this doll! I've never seen it, even in a book. Then Jeannie Walker. Jeannie is quite unusual because she's a walking doll made of composition. I think, but am not 100% sure, this was the first walking doll that started the big craze. I truly hope you enjoy looking at all my cool finds for this week! As always, please check my Atelier Mandaline shops on Facebook, eBay, and Etsy for more great finds. I returned from my aunt's funeral and got right to work, as I have always found work is a wonderful distraction from emotional distress. My cousins did an amazing job honoring their mother with the beautiful service and I am thankful I was able to attend. I guess it's fitting I chose this Hawaiian hula dancer doll to restore, as it is another tie that side of the family. Over the years I know I've mentioned few times how, shortly before my father died my parents took a vacation to Hawaii without me. 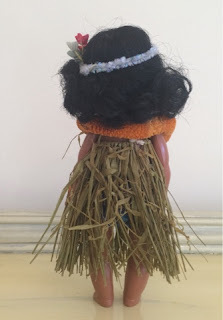 They brought me back a hula dancer doll. Mine was a cheap 1970's version but I loved it. After my father died and we moved to Ohio I never could find the hula doll again. Sometimes I still dream that I left it in a closet in a hotel, so I guess it's possible that's what happened to it. It's been hard for me to list this Hula Girl for sale, after missing my childhood version for so many years! 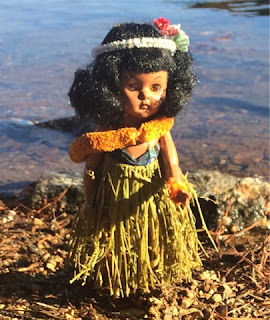 The Stover Small Dolls book documents this doll. 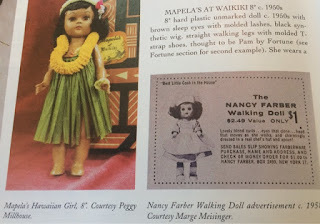 Something else I've written about over the years is how doll companies in the early to mid-20th Century sold their molds to other companies or even made dolls for other companies to sell. The most notorious example of this is Cosmopolitan's Ginger doll, but lots of other companies also followed this practice. 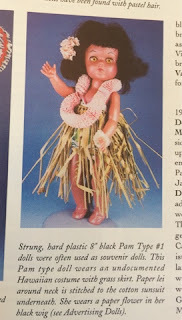 Fortune Doll Company sometimes used their Pam doll to make souvenir dolls for various places and Virga made their Lucy as a souvenir doll sometimes too. 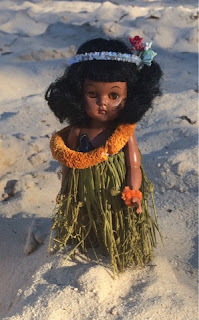 These are not quite the same as Vogue's and Madame Alexander's practice of releasing their Ginny or Wendy dolls dressed in international costumes; these dolls are unmarked and were branded by whichever company was selling the tourist doll. 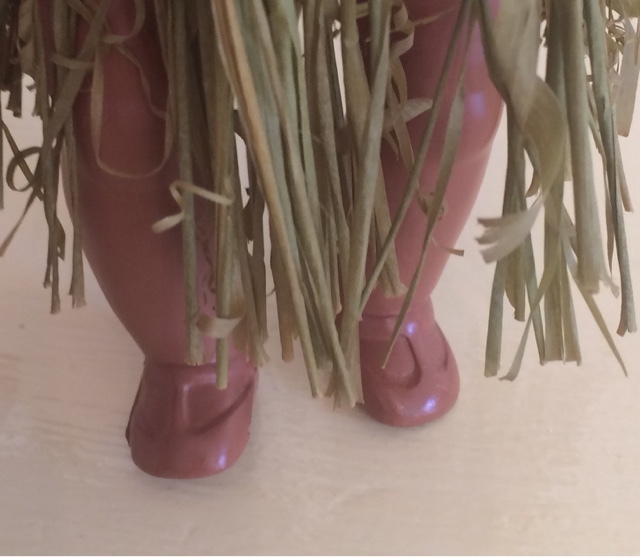 Because of this it can be difficult to identify the doll. 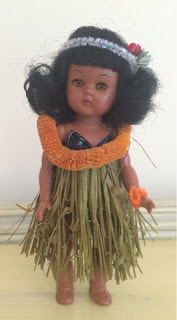 This doll was sold as a souvenir by Mapela's at Waikiki in the 1950s. She is a Type #1 Pam doll by the Fortune doll company, and although Fortune did not document this doll there are several indicators of the manufacturer. Fortune's Type #1 Pam doll is virtually identical to Virga's Lucy. Both are 8 inch walker dolls with a Ginny type face mold. You can see which is which by looking at the arm hooks. Pam has a peg-shaped arm hook and Lucy has a C-shaped hook. Both arm hooks are plastic. I got a great idea from another blogger one time, although since then I have been unable to find the post again to give credit: the other blogger said to remember think "Peg for Pam and Lu-C". Type #1 Pam has molded, unpainted T-strap shoes, so that is another way to identify her. 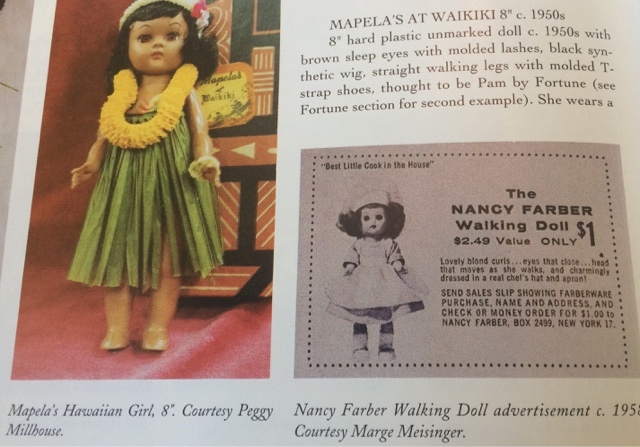 Carol Stover's Small Dolls of the 1940's and 1950's book is a really helpful reference when you're trying to identify unmarked dolls. As you can see from the photos above, this doll is in near-mint condition, so she was pretty easy to identify. Just as the Ginny and Wendy dolls made as Native Americans or Hawaiians or other ethnicities are more than the white versions, ethnic Pam and Lucy dolls are quite valuable and difficult to find. This doll would be worth upwards of $100 if she had her box. Since she doesn't and is also missing a hair ornament I have her priced below that. I have to admit, I can hardly call this a "restoration". Hawaiian Pam is in such good shape I just picked out her wig with a bamboo skewer where it had gotten crushed from her lying on her back. 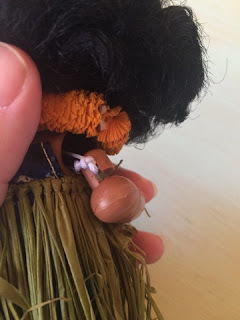 Pam's wig is synthetic mohair but you style it in the same way: rather than brushing it you use a bamboo pick or wooden toothpick and you wash it in cold water rather than using the boil perm method. I cleaned Pam's skin and restrung her arms with elastic cord. The arms were still nice and tight but the rubber band would eventually rot and break so I replaced it with elastic cord. 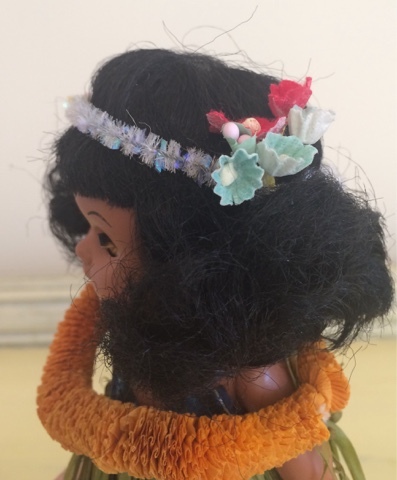 Pam didn't have a flower or headband in her hair, as the dolls shown in the Stover book do, so I made her a headband using vintage materials and got it as close to the original as I could. Then I tagged her with my own signed tag and gave her a hair net, so she's all ready to join your collection or be a perfect gift! You can find her, and many more dolls, in my Etsy and eBay stores. She wears a cotton bodysuit under her skirt. I made the headband from vintage materials. Before I listed Pam my youngest and I took her to the beach for her photo shoot so I could get it out of my system. It was a lot of fun and the pictures turned out to be really cute! 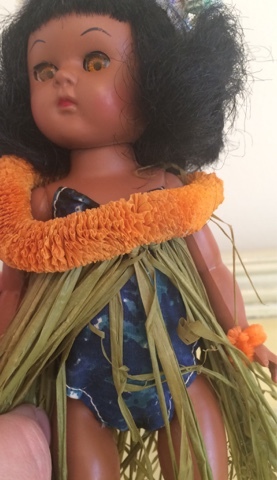 Besides Hawaiian Pam I have a lot of dolls for sale on Etsy and I have listed a huge number of doll eyes in various sizes and colors and a great many outfits for babies and kids on eBay since I got home. If you haven't checked in a while you will definitely want to see all my new inventory! I am running several different sales on eBay and you can take 10% off any order on Etsy when you use the coupon code BLOGGER at checkout. Some of you have read parts of this story before, the story of my migration in the wake of my father's death, from California to Ohio. My mother, expecting my younger sister, was with me and I was three years old. Up until that time I had been the much beloved and celebrated only child of proud parents. My father, an optometrist, would schedule no appointments after noon on Thursdays and we would drive most weekends from our home in Mendocino County to the beach and stay there until Sunday while he went scuba diving with his friends. My whole world consisted of ocean and beach, our redwood-fenced backyard with its little square of concrete patio and my beloved bouncing ride-on horse, the mountain at the end of our street, and the green tunnel that was the Redwood Forest, through which we drove to the coast. It was full of love and music and laughter. Then one day I woke up and my father was dead. My mother got me to Ohio. We moved into her childhood room in her parents' house and after that she was there but not really totally present in my life for a while. For one thing, she had to take classes to update her teaching certificate (I think) and for another she was grieving and pregnant and then after that she was caring for a newborn. 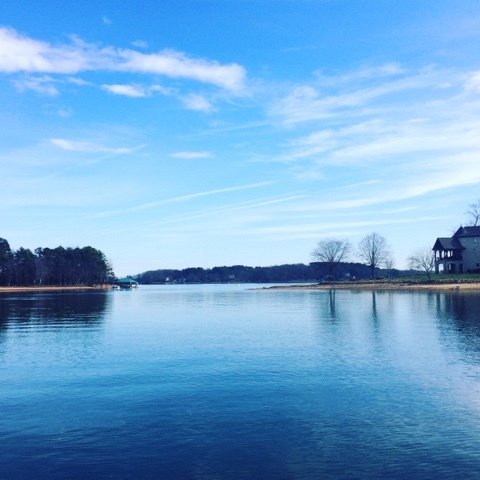 Both sets of my grandparents lived in town, however, as well as a plethora of aunts and uncles and great-aunts and great-uncles and even my great-grandmother, and all of them took me in turn to stay them for an afternoon or a day or two or even a week. I can remember my Aunt Iris always had freshly-baked angel food cake for me set out in her immaculate kitchen, and my great-grandmother would serve her homemade Amish chicken and noodles when I visited. We would sit in her pink toile-wallpapered kitchen and she would point to scenes of ladies and gentlemen riding in carriages and strolling country lanes holding parasols and tell me stories of her own childhood world, when people had looked like those in the wallpaper. 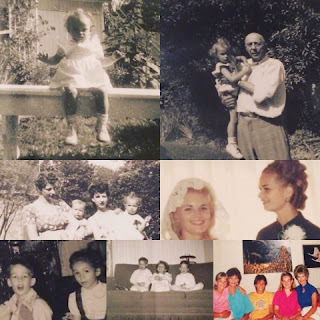 However, I am the oldest grandchild (or at least I was then, before marriage reshaped our family) and I was lonely. I was homesick for California and desperately missed the golden sunshine and hills and the towering redwoods and the mountain at the end of the street and especially the ocean and my bouncing horse, which had to be left behind. And when I would get too quiet and morose my Aunt Niki would come to town, a three hour drive, bringing my cousins with her. Technically, Niki was not my aunt, but my first cousin once-removed. My grandmother always referred to her as the daughter she never had and my father considered her his sister, so she has always been my aunt and she has always treated me as her niece. Her visits were a bright beam of light in the dark Ohio winters and I fondly remember the times I visited her and my Uncle Jim and my cousins at their house. On the day before yesterday my Aunt Niki was called home and we are all devastated. A glowing star has gone out of our sky for the moment; there's no doubt we will see her again. Niki was everything I have always wanted to be: kind, generous, beautiful, witty, fashionable, loving, and devout and I am grateful for the time I spent with her. I am going to spend a few last moments with her now. My children and husband, school and work schedules being as they are, are staying home, and I have my teenager minding my stores. He will take care of shipping on schedule, so I am not closing. Please forgive any delay in response to emails; I will answer all when I return. Here's a new oils post, something I haven't published for a while, I know! Although I continue to use oils with great success, I've been frustrated by my oils business, or lack thereof. I've watched people who started around the same time as I catapult themselves into the upper echelon of the company while I plod along, pretty much the same every month. All my businesses seem to be proceeding long those terms, and lately I've been really frustrated and and have been feeling pretty sorry for myself. Of course, feeling sorry for yourself never fixes anything, so this year I have been determined to take action. I plan to transform my routine to make myself more successful. I'm lucky to have great coaches and examples on Instagram and Facebook. There are tons of people who selflessly post their own practises in order to lead others by example, and I've been studying them closely. 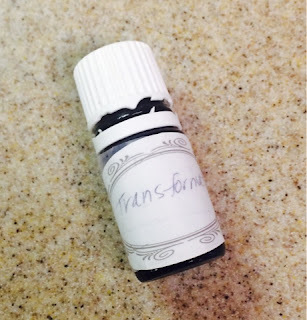 Then a couple days ago Young Living featured their Transformation oil blend. I missed this one, somehow, but I think it's perfect for me right now! It's a pricey oil, but I had the oils to make it, either singly or contained in blends. It would be way cheaper to just buy Transformation than to purchase all the oils I'm using here, but if you already have a big oils collection you can try a copycat blend with no extra expense. I used the oils above in decreasing order from left to right. I mixed 10 drops each Lemon, Peppermint, Dream Catcher, and Clary Sage; 8 drops each Sacred Frankincense, Idaho Blue Spruce, and Field; and 5 drops each Ocotea and Palo Santo. Once you've added all the oils, cap the bottle and roll it in between your hands to blend. The heat from your hands helps the oils mix together. That's a tip from Gary Young himself! Today I'm wearing my copycat Transformation and running it in the diffusers. I didn't like the smell at first, but the more I smell it the better I like it. It's hard to describe: it's kind of soft and muted but sort of spicy at the same time. 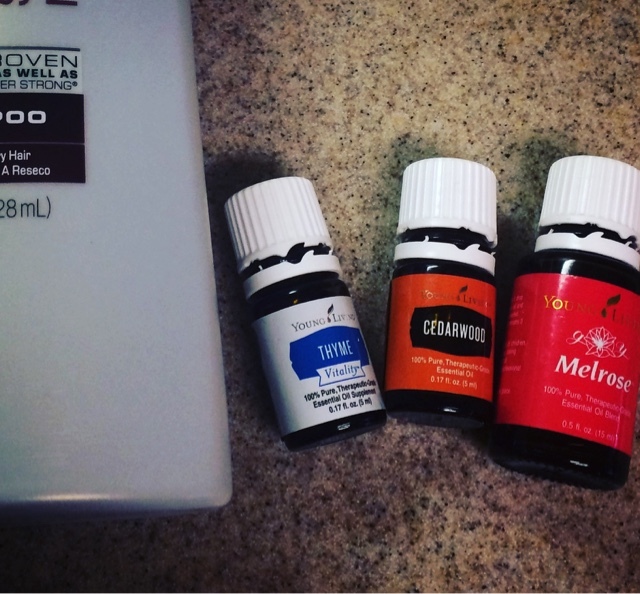 Some people in my oils group claim the worse an oil smells to you the more your body probably needs it. That makes no sense to me, but evidently that was the result of a study. 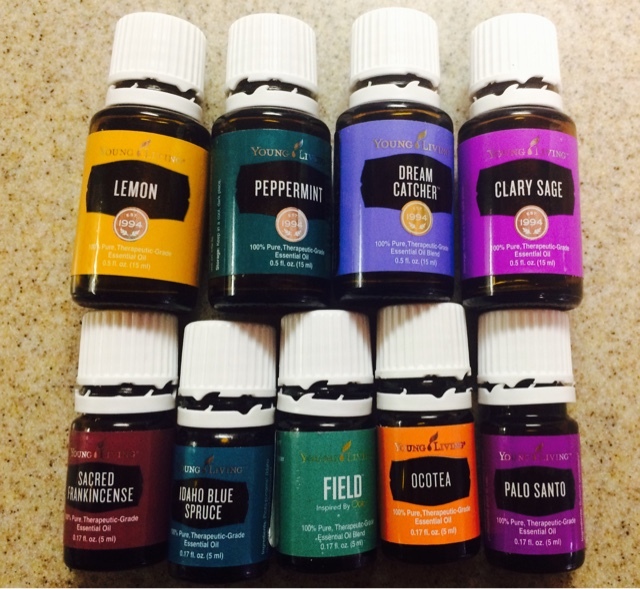 I have experienced the bad-to-good transformation with oils often. I hated Joy at first. It gave me a headache when I first started oils, but now it's one of my favorites. So maybe once I started using it my body had a need filled and now I like it; I don't know. I am hoping the Transformation oil helps me make the changes I need to be successful. I've already made several changes to my routine over the past couple weeks, the beginning of my transformation. For one thing, my health and fitness group got back together on the 2nd. Every year I focus on losing weight and usually I lose some and then my progress slows down until it stops and I start re-gaining. I push myself hard and often end up injured and starving but still fat. This year I decided to make small changes and focus on transforming my total life, just not my weight. I've been watching calories and trying macros, but I am not exercising with the same fervor as usual. Instead I have been just trying to hit my step count each day and fit in just three extra "workouts" each week, by which I mean structured activity just to get exercise, like doing Pilates and yoga. Then I've been going to bed earlier and trying to get as close to nine hours of sleep each night as possible. I have to supplement with a nap almost every day but I have been working on the earlier bedtime little by little. The earlier bedtime keeps my calories down because night time is my worst time for hunger and snacking and wine drinking. Although it's not my focus, I have lost almost 5 pounds in the past two weeks. I've already seen that reflected in my hair, unfortunately. It's looking really thin. I haven't been sticking to my hair oils routine at all, so today I made myself get it done. I don't know why I haven't done it; it's really extremely easy. You just add Cedarwood, Rosemary (or Melrose in my case), Thyme, and if you want, Lavender, to your shampoo, mix it up, and wash your hair as usual. If you want even more growth you can mix these oils with Jojoba oil and massage it into your hair. Leave it on for a couple hours or overnight and then wash it out. We see visible results using these oils starting within one week. It's amazing! Here's a post with unbelievable before and after photos of my husband's hair. If you want to find out how oils have changed everything for my family (and that is NOT an exaggeration) please email me at ateliermandaline@gmail.com. If you want to buy a kit and have me 24/7 to answer questions and brainstorm ideas and teach you what I've learned, order here, using 2256091 as your Sponsor number. My friend and fitness coach, who also is a rock star oils seller, and who has recently been blowing other Etsy sellers out of the water with the creations she makes on her Silhouette Cameo machine, inspired me to want a machine too. The design implications of these machines are incredible. 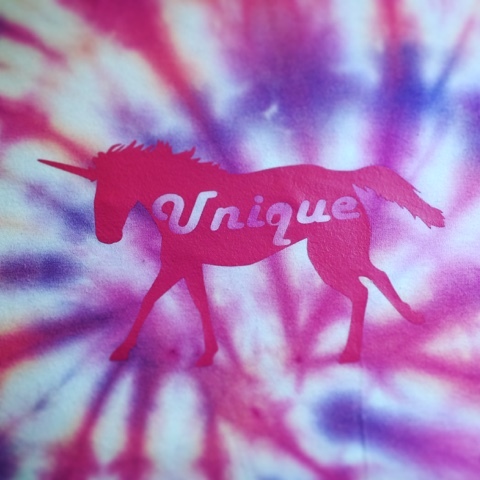 You can create diecuts, print and cut, etch glass and metal, create custom stamps, the list just goes on and on. My husband very kindly gave me one for Christmas and once all our guests left and my son recovered from his surgery I began to play around with it. Unfortunately I got off to a rocky start with mine and messed up a bunch of expensive heat transfer material because my ideas were overly ambitious for my skill level on the machine... the story of my life! Now, however, I am finally getting my sea legs and have been able to create designs that work with the machine's capabilities. I've been just making stuff for my kids so far, but I have a ton of decals waiting for creation and a bunch more in my brain. As most of you know, we adopted our younger children, who both had special needs at the time we got them, so my kids' designs have highlighted their special status. 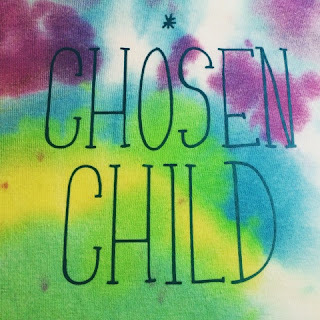 You can expect many more adoption and special needs themed kids' designs to hit my shops soon. 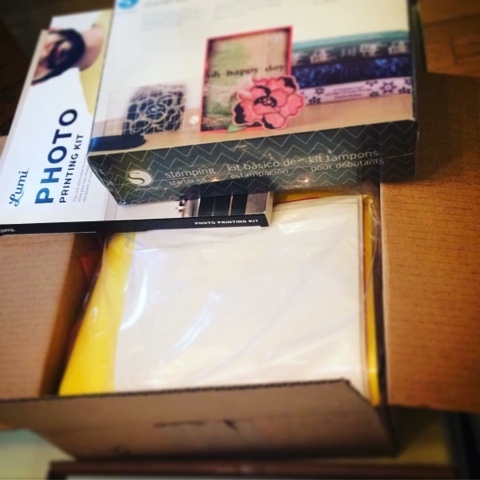 I finally felt confident enough to order a huge box of supplies for my Silhouette. 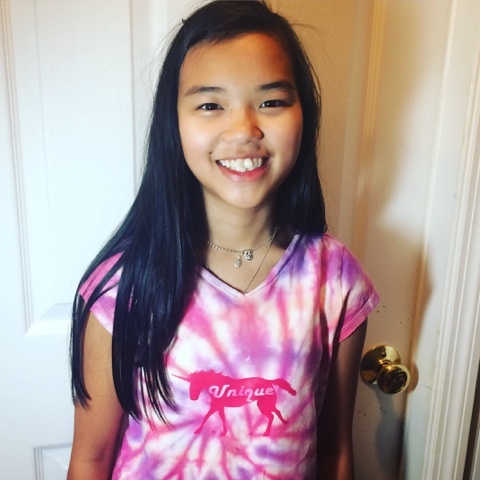 I created my "Unique" design for all girls, but especially for those who might have or have overcome special needs or disability. I have a similar, more unisex, design in the works so more boys might wear them. My "Chosen Child" decal is especially for those children who were adopted. 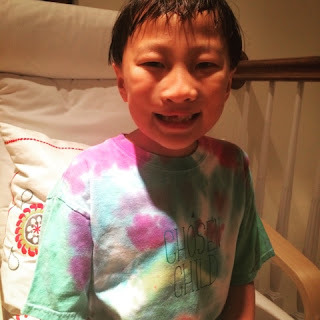 I am a biological mother as well as an adoptive mother, and I can tell you, there is no difference in how much I love any of my kids. As far as I'm concerned they were all meant for me. It's no lie, though, the effort that went into finding and getting my adopted kids was far beyond pregnancy, even though I had a rather difficult pregnancy and delivery. I can tell you about the months and years of searching, waiting, hoping, praying, and crying, and then the months and years of love and therapy and sleeplessness and the sheer amount time and work it takes to help a child recover from trauma and malnutrition, but you can't really understand. Not until you experience it do you truly realize the magnitude of the choice to adopt. I'm not sure even the kids understand how much they were longed for and loved, but I tried to make some shirts to help parents tell them! I would do it again, too, even knowing all too well how difficult it can be; I would do it a thousand times. All these designs are on the way to my Etsy shop and probably to eBay and Poshmark as well, so please look for them. Speaking of eBay, I have seen other sellers posting their numbers and methods on Instagram and their sales are the stuff of dreams for me. A couple of the people I follow are selling over $15,000 in 60 days. Even one lady who was complaining about how she let her business "fall off" due to depression is selling about three times my sales. I've been noticing the main thing these sellers are doing that I am not is listing more new stuff each day. I don't have a ton of room for inventory so I worry about getting stuck with a bunch of stuff, but for the past couple weeks I've been listing new items daily whenever I can and I have noticed an uptick in sales. As part of my Transformation 2017, look for new stuff coming to all my shops a lot more frequently. For those of you who read this blog I have a few special offers: use the coupon code BLOGGER for 10% any order from my Etsy shop. Through June 1st use this special link to shop an exclusive sale on eBay and save 30% off purchases of $40 or more. The eBay offer is not open to the public, only to those who have this link. I wrote a little about this last year but haven't gotten started on it, but coming soon look for the new ateliermandaline.com web site. It is not live yet, but I have to create one because, between the oils and the dolls and the handmade stuff and the kids' clothes, trying to keep all these shops and Facebook pages and the blog up to date is driving me crazy! My hope and plan for my web site is that it will be a central hub with links to all my pages and eventually a shop in its own right. As soon as it is set up you can bet I will let you know! Please try Transformation or my copycat and tell me how it's helping you meet your goals for the new year. Here's to a stunning 2017! May it bring all you've been wanting to your life.